The Blue Ridge Parkway and Skyline Drive are amongst America’s most legendary drives. On our 14-night road trip, you’ll cruise these scenic routes all the way to the Great Smoky Mountains National Park. 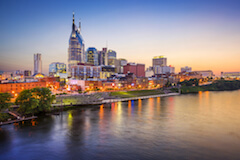 Combined with the southern flavour of Nashville and Atlanta, you have a fantastic road trip adventure. After landing at Washington Dulles International, you’ll make your own way to your hotel. You can reach the city easily by taxi or alternatively take the Metro direct from the airport. You have three nights to allow you to really enjoy the city. Your itinerary pack is the perfect companion to begin exploring the city. You may want to begin by taking a self-guided tour of some of Washington’s iconic buildings. The White House, Capitol Hill and the Lincoln Memorial are just some of the key buildings that can be explored. Across the Potomac River is Arlington, a must visit for history buffs with the moving National Cemetery a great place to simply wander. You may want to dip into the famous Smithsonian Museums today - there are 17 to choose from! The most famous, the Air & Space Museum and the Museum of Natural History are on the National Mall, in the heart of the city. Best of all, they’re free to visit. Our favourite though is the Newseum, which has amazing artefacts chronicling how we 'news' has changed over the last 100 years. You can try your hand behind a TV studio desk too. After collecting your car, you can either head straight for the majestic mountains of Shenandoah, alternatively, you can opt to discover more amazing US history sites en route. Mt. Vernon, Harpers Ferry and Antietam National Battlefield are all doable on your way to the national wonders of the Skyline Drive in Shenandoah National Park. Your personalised Road Trip Pack will tell you all about these options and many more. You’ll spend your day driving along two of America’s very best roads today. The first half of the day will be spent on Skyline Drive as you cruise through Shenandoah National Park, and the second half of the drive will be spent weaving your way south on the epic Blue Ridge Parkway. Cruise along farm-dotted valleys unfurling between the Blue Ridge and Allegheny mountains. The Blue Ridge Parkway and Appalachian Trail roll across the mountains here, which are home to scenic rivers, streams and lakes. Old-time mountain music can be heard regularly, and wineries and craft breweries offer tastings in small towns and on mountain slopes. Get an early start, and the hit the road with a full belly and a full tank of fuel. Later today you'll arrive in Asheville where you have a night to enjoy this charming mountain town. The main street is littered with chocolate shops, microbreweries and stylish eateries. Enjoy more of the Asheville scene. 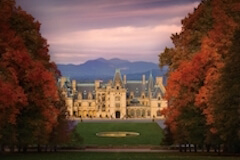 The North Carolina Arboretum and the astounding Biltmore Estate are well worth visiting. Venture further for the beautiful view from Chimney Rock which is approximately 25 miles away. 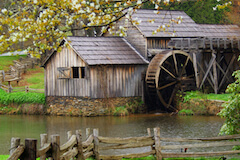 Complete the Blue Ridge Parkway on your drive to Great Smoky Mountains National Park today. You’ll find ridge upon ridge of forest which straddles the border between North Carolina and Tennessee in this popular National Park. 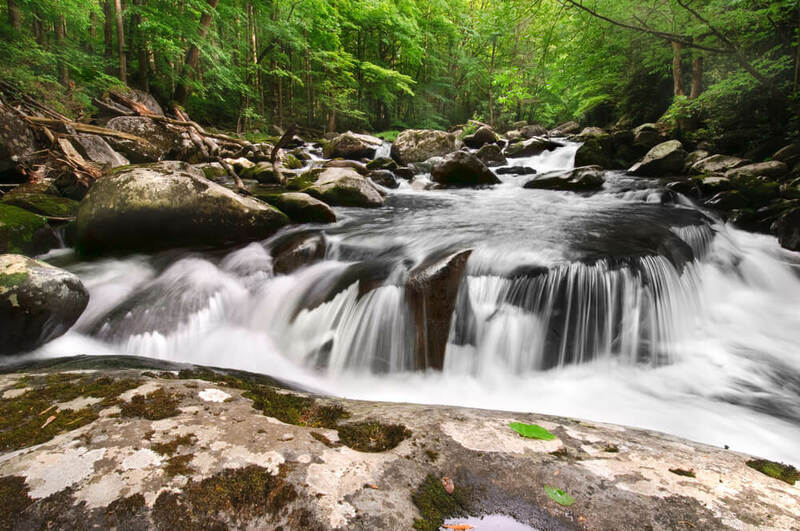 The Smokies is world-renowned for its diversity of plant and animal life, the beauty of its ancient mountains, and the quality of its remnants of Southern Appalachian mountain culture. Continue south to Atlanta today. 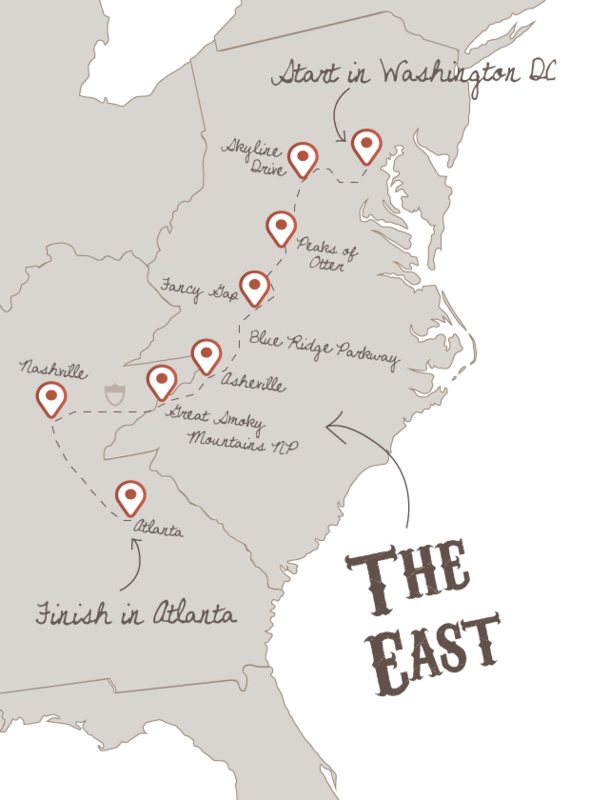 En-route, you’ll be able to explore the popular Jack Daniels Distillery in Lynchburg and the attractions of Chattanooga. As always, your personalised Road Trip Pack will give you all the information you’ll need. Don't forget to check out this road trip's Itinerary tab to see more amazing pictures from our 'Blue Ridge Cruiser' tour. You'll also be able to read a little bit about what you'll be getting up to on each day of this incredible road trip adventure.